The purpose of taking a stress free vacation is to relax our minds enough to get at what is deep inside our heads. Then we can convert the raw material of our ideas into something usable and meaningful. Going to a relaxing getaway has helped many people solve all kinds of business challenges and problems. A relaxing retreat can help generate ideas for work, home and family. 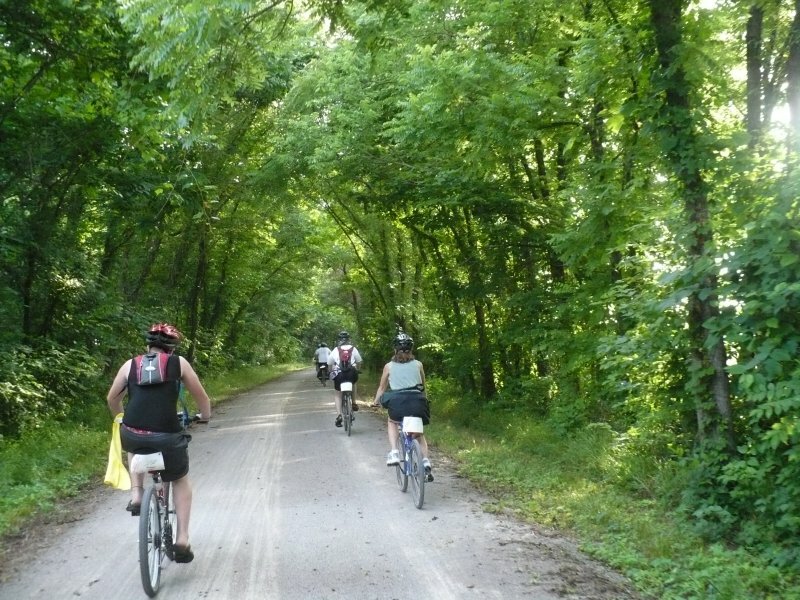 Rocheport, Missouri is a great off-the-beaten-track destination for those travelers who are looking for relaxation. It is a place far removed from the noise and commotion of city life. Here, our brains can think deeper, more thoroughly and more introspectively than under regular circumstances. The benefits of this getaway bring clarity, focus, productivity and new attitudes to our thinking. Obstacles in our mind are miraculously cleared. Rocheport has an interesting history. It was a trading post for Native Americans and travelers in the 1800's. Lewis and Clark led an expedition to the point where the Missouri River and Moniteau Creek converge. In his personal notebook, Clark commented on the flora, fauna and pictographs he saw on the bluffs. Some historic structures still stand. Conrad Yates, is the owner and innkeeper of Yates House Bed and Breakfast in Rocheport, Missouri. "Visitors come here to escape their average stressful lives," he explains. "People work too hard, and the demands are great. Having children is stressful. Parents have to deal with sports, school, and their appointments. It is challenging, so people love coming to a small town where the pace is different. It is much more relaxed," he concludes. "Tourists don't have to drive their car anywhere," Yates continues. Rocheport is a beautiful place to stay. There is wonderful food to eat and they are not distracted by all the stuff going on. Couples get to pay attention to each other." He remarks. Time away can be a potent adventure that challenges us to step back and evaluate our lives and personal decisions. It engages our innermost imagination and creativity. 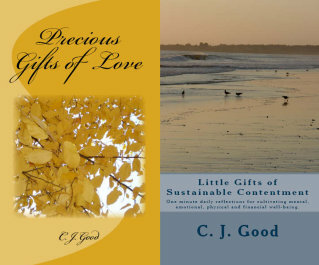 As Conrad Yates reiterates, "Many couples have lived for years in overstressed situations. They love themselves dearly, but forget it along the way. 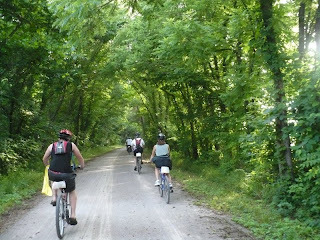 Here in Rocheport, the pressure is off, and everything is wonderful," he explains. "They actually notice each other again in a way they haven't noticed each other before. It is wonderful to watch a couple touch bases again. They come here and re-connect. I have watched it happen and I see it and feel it very deeply as part of what we do." A vacation helps us to become more articulate about our ideas, and shows us how to become unique and creative. We can access knowledge we may have forgotten, and can cut resistance that allows for breakthrough idea generation. How often do we wind up at a destination and don't have a clue about what to see or where to go? With an innkeeper's experience and knowledge, the problem is addressed immediately. Mr. Yates informs us, "Our biggest travel category is couples getaway. We try to help them plan their activities. We give them a great couples experience." He elaborates, "We try to make sure that the guy has a great time. It is really not hard to do. Everything falls right into place. They respond, ‘Gosh, this is great, this is awesome, we will come back.' That is the very best compliment a business can get." FEATURED PROPERTY: The Yates House Bed and Breakfast of Rocheport, Missouri is casual, quiet, unpretentious, comfortable, and superbly located in a historic town. The grounds and facilities are easy on the eyes, and a relaxing atmosphere is evident throughout the inn. Yates House is recommended to anyone who wants a good dose of serenity, privacy and rejuvenation. 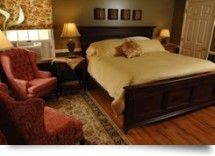 The inn encompasses all the warmth and charm of refined accommodations. It is a truly unique creation meant to be enjoyed by anyone searching for peace of mind. Starting from the splendid architecture of the inn, to the labor of love on the details inside, this is not a B & B inn to be taken for granted. More importantly, the service is considered warm, welcoming, and impeccable. Honeymooners come here to create memories that last a lifetime. Anniversary couples return year after year to escape from the everyday pressures of work and the hustle and bustle of city life. They come to spend quality time with each other. The Yates House Bed and Breakfast is the perfect getaway for visitors whose ideal vacation is to just sit back and relax, but it is also the best vacation possible for those who want to shop, hike, bike, dine and enjoy the activities available in town. Columbia is just 15 minutes away. The inn is midway (2 hour drive) between Kansas City and St. Louis, two miles north of Highway I-70. The inn is happy to accommodate special dietary requests, such as for vegetarian, low-fat, gluten-free, or low-sugar meals. Upon arrival into the common area, visitors are familiarized with the property, and the history of the inn. The staff makes guests feel welcome with a tour. Before being escorted to their rooms, the staff explains the breakfast routine, other particulars and activities available in the area. The Yates House B & B is recommended to anyone who wants a good dose of serenity. Just gaze at the beautiful blooming gardens situated around the property. It is a place where you can spend relaxing times with good friends. SUMMARY: The B & B is a prime property located in historic Rocheport, Missouri. 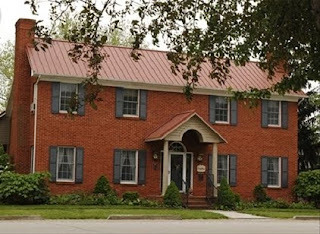 The recently built (1991) B & B is a reproduction of an 1850's roadside inn. It offers the tranquility and comfort of the country, yet is near all the city conveniences. You can watch geese and bald eagles soaring close by. The inn features sumptuous dining including a fantastic two-course breakfast. This along with great service makes for a delightful B & B experience. ROOMS: The rooms are immaculately clean, spacious, comfortable and airy, decorated with tasteful decor and elegant furniture. Some rooms have a fireplace, a sitting area, and a jetted tub. The backyard gazebo offers superb views of the property overlooking gardens, trees, and star-filled nights. One room has a private entrance. Rooms come equipped with free WiFi, cable TV and DVD player. Bathrobes and signature toiletries are provided along with hairdryers. Some rooms have refrigerators. Heirlooms, antiques, and local artwork evident throughout the property, provide a glimpse into the regional culture. The property has several small gardens. All during your stay you can partake of complimentary coffee, tea, and beverages. Ghirardelli Chocolates are placed in the room. SERVICE: Great service with a warm smile. The Innkeepers are well known for their genuine hospitality. The innkeepers are knowledgeable and provide efficient service to all of their guests. AMENITIES: Known for an exceptional, and hearty two-course breakfast. Crème brulee French toast, and frittatas, are some of the items served. The owner collects antique furnishings that are interspersed around the house. The great room common area is the ideal reading room for visitors. It's a peaceful room with a variety of magazines and DVD's. People like to read on the porches or gazebo. 24 hours a day, coffee, hot tea, hot chocolate (in winter), beverages, baked cookies are available in the common area. There is a refrigerator, with beverages, in the common area. A bicyclist lunch can be provided upon request. The innkeeper, Dixie is a gourmet cook. Gourmet cooking classes are offered to guests on weekends or by customer arrangement. LOCATION: The location is flawless for those who want to get away and feel removed from everyday anxiety and stress. The location is so convenient and comfortable that it is tempting to just stay inside and relax, but don't do it. There is a lot to see and do in the area. 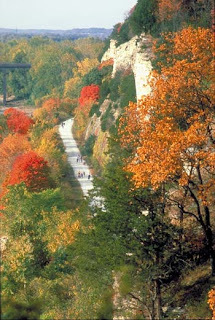 The inn is easy walking distance to restaurants, wineries, sightseeing, and local culture. When you feel like stretching your legs a bit more, the Katy Trail State Park, 225 mile rails to trail path, is one block away. Anheuser Busch Warm Spring Ranch of Clydesdale Horses is 10 minutes away. There are a few small galleries in town. Jewelry, quilts, local products, antiques and paintings are available in town. VALUE: Compared to a standard hotel room, this property provides excellent value with a sense of town & country elegance. The rooms are designed to make guests feel relaxed, and cozy. The personal attention makes the difference. The guests appreciate being asked if they are comfortable. The staff is helpful without being intrusive."